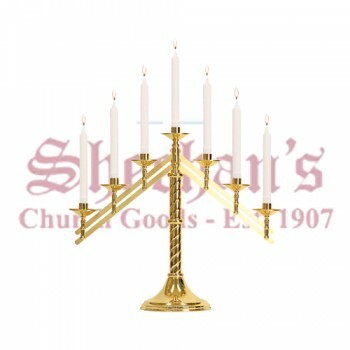 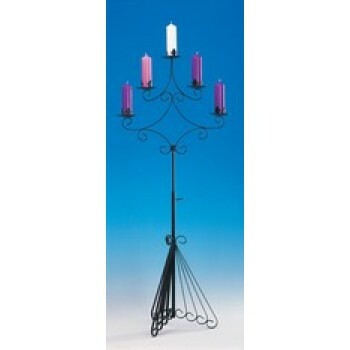 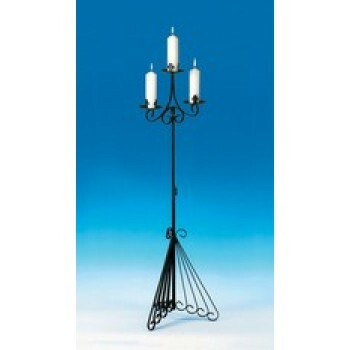 The candelabra is a type of candle support that features several arms or branches. 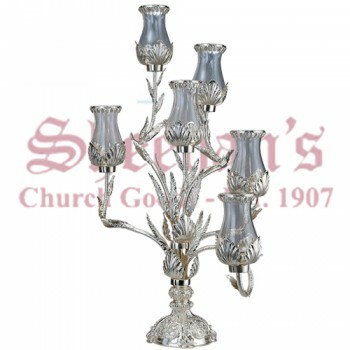 Most candelabras were built and used during the Renaissance and were based on designed that originated in Eturia and Rome where the candelabra originated. 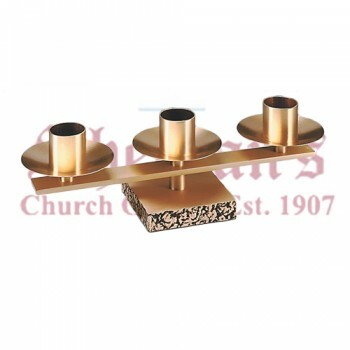 The decorative holders may be made of various materials including bronze or cast iron. 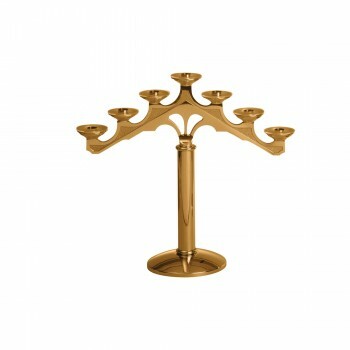 The candelabra found in Etruscan and Pompeiian ruins are typically made of bronze. 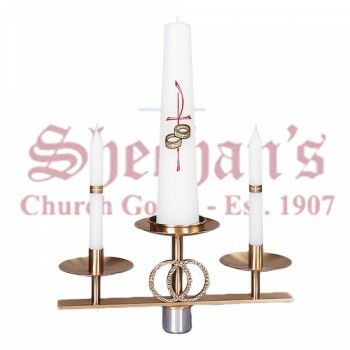 Ancient Romans added to the candelabra trend with giant monument style candelabras that were used in temples and other public buildings. 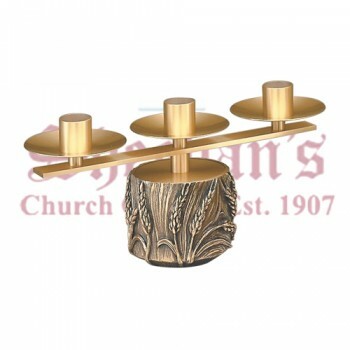 These giant pieces had triangular pedestals that gave rise to columnar shafts that led to a bowl used for holding oil and incense. 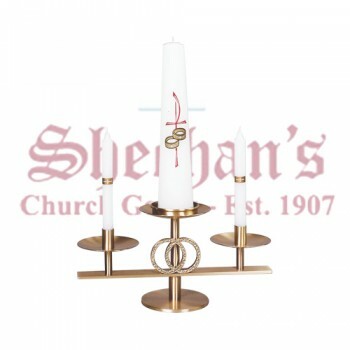 The modern candelabra draws its style from these ancient works of art. 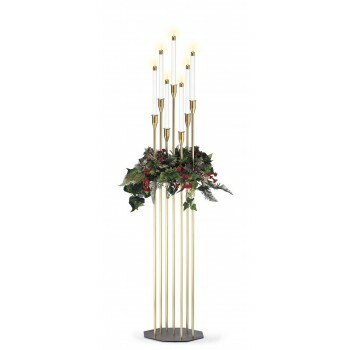 Though many of the first candelabras were large and heavy, modern pieces have taken on a lighter tone. 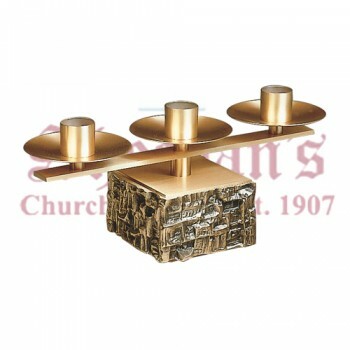 The structures may be found in altars, chapels and processions. 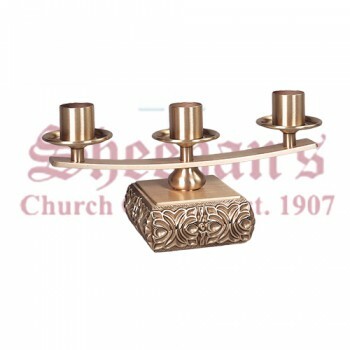 Besides the size of the holders, the materials used to make them has also evolved, with bronze and brass being two of the favorites. 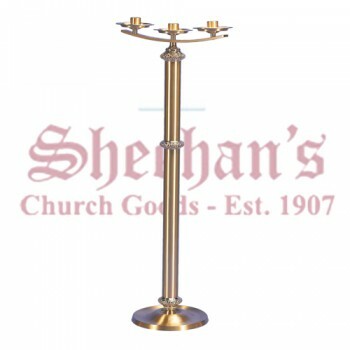 Most candelabras, including floor mounted altar candelabras are made to accommodate at least 3 candles. 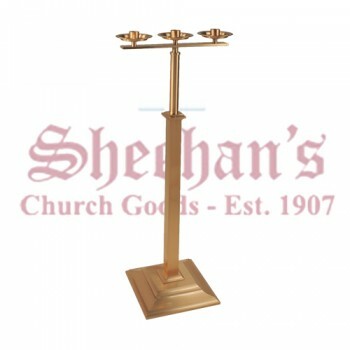 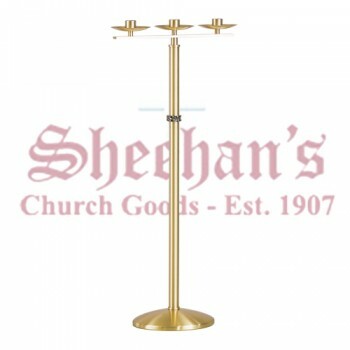 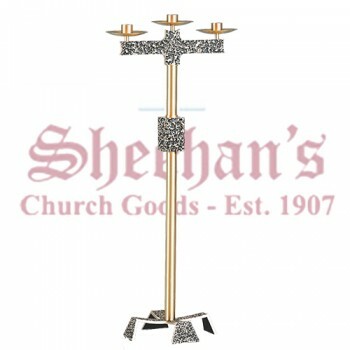 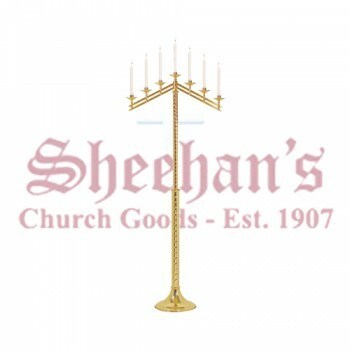 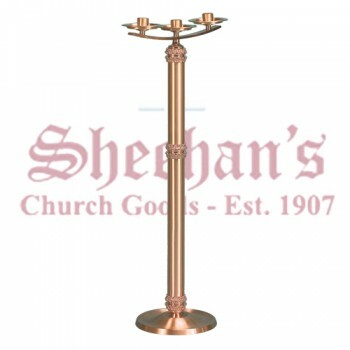 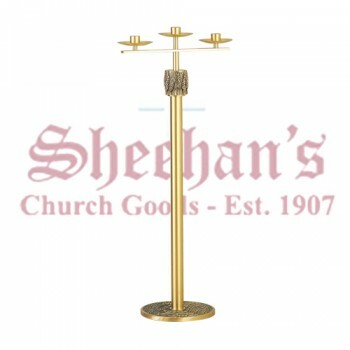 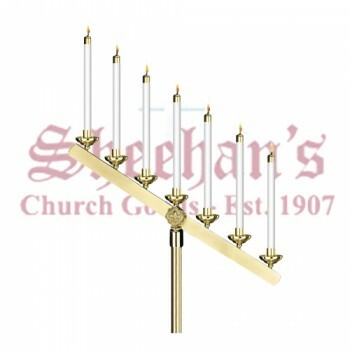 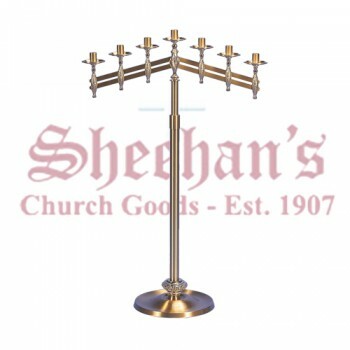 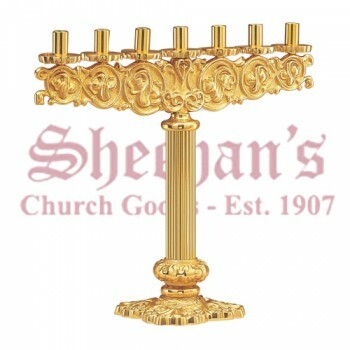 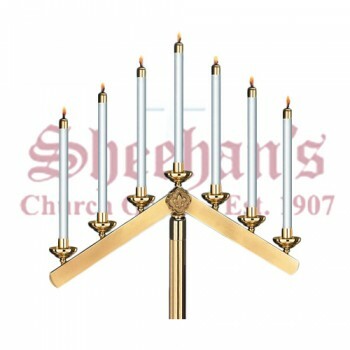 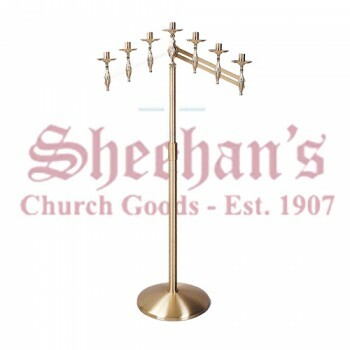 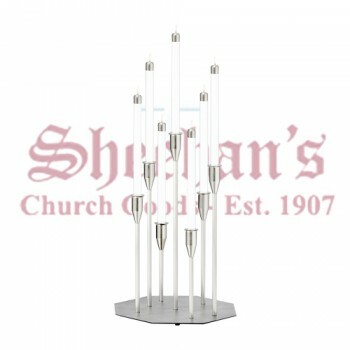 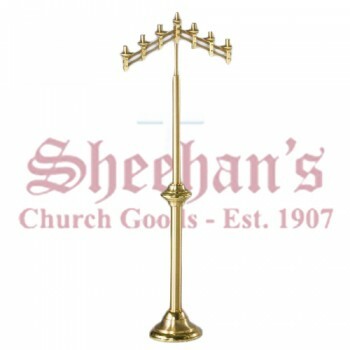 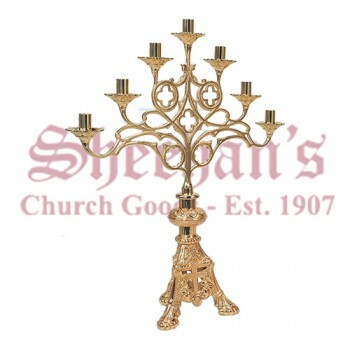 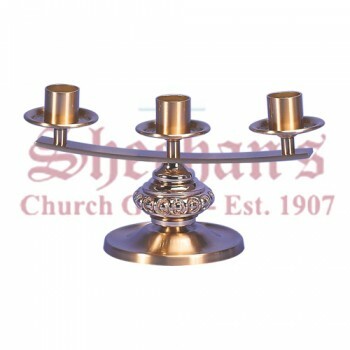 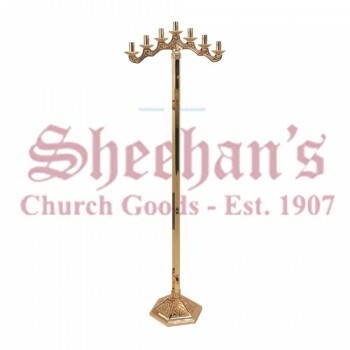 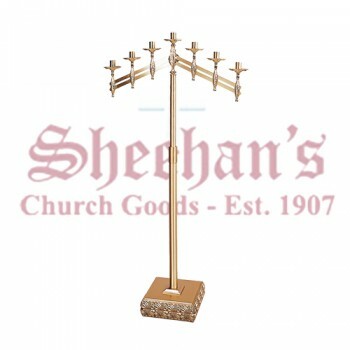 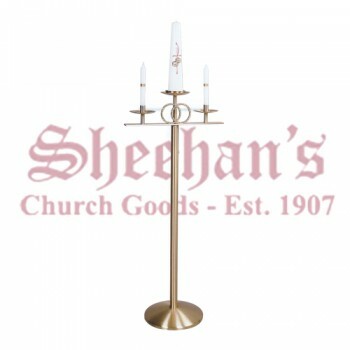 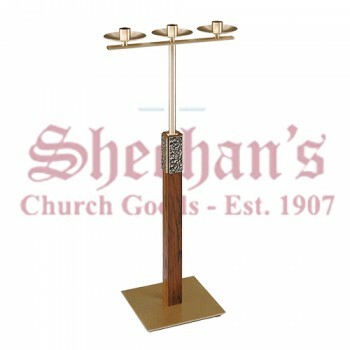 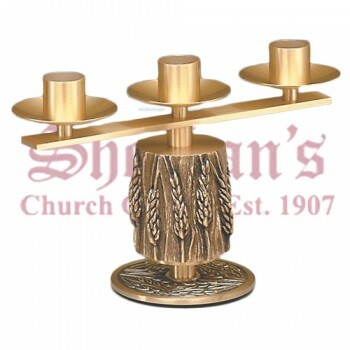 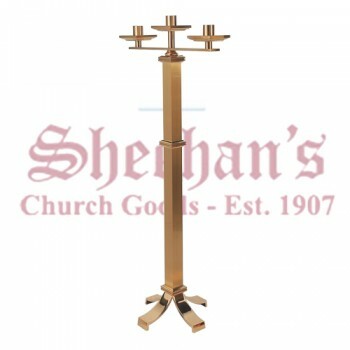 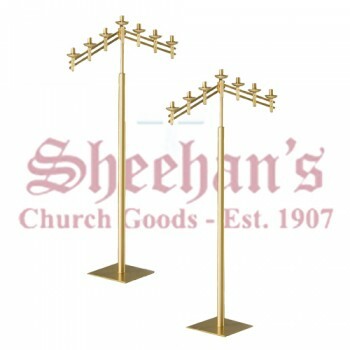 Matthew F. Sheehan is your source for quality candelabras. 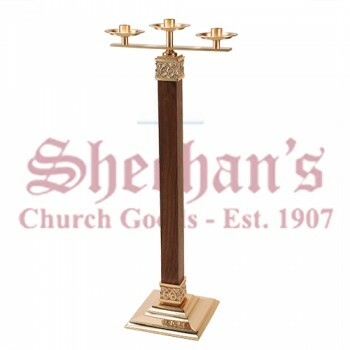 Our expert staff has carefully chosen the finest pieces available to make it easy for you to find a piece that is both stylish and quality. 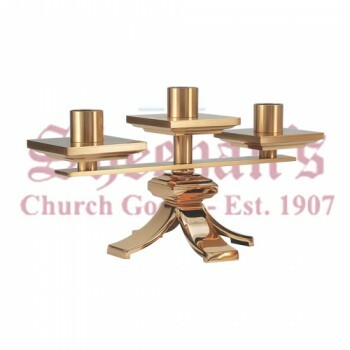 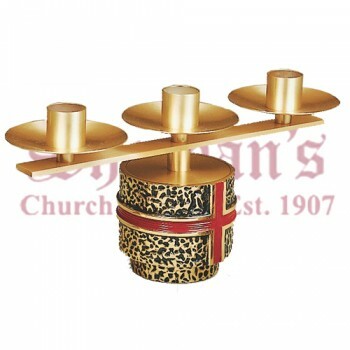 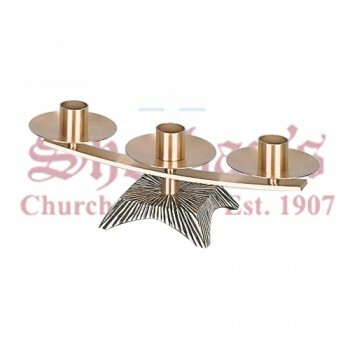 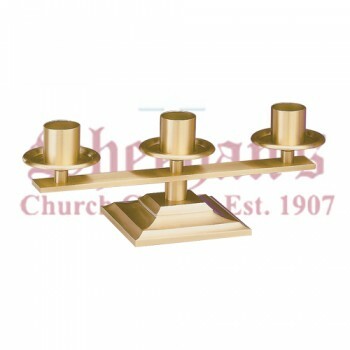 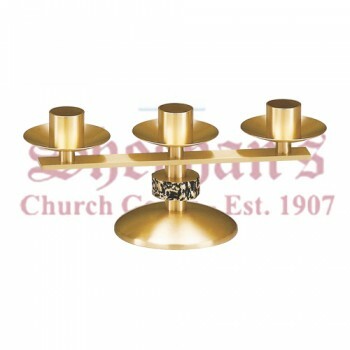 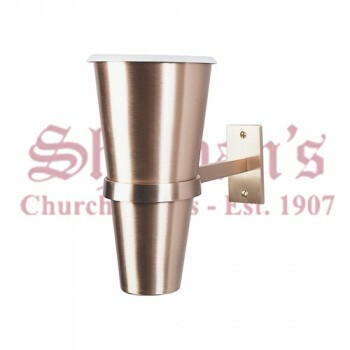 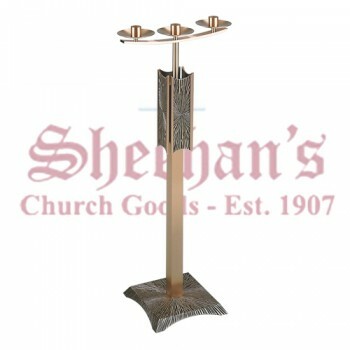 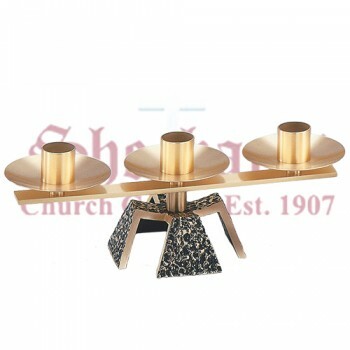 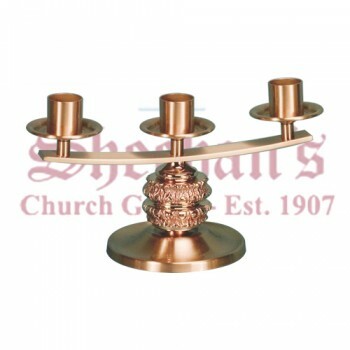 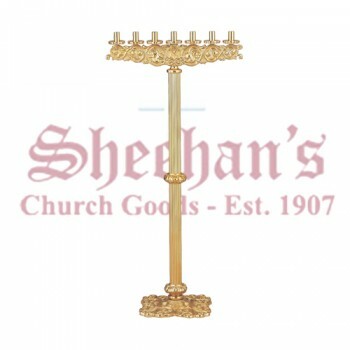 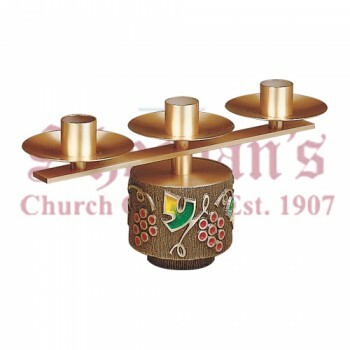 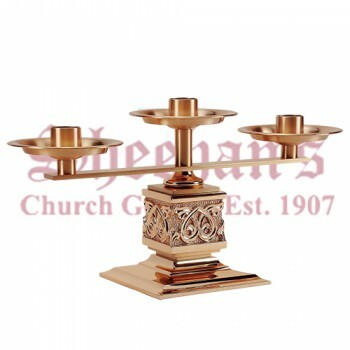 Shop today and enjoy the style and sophistication a candelabra will bring to your church or place of worship.